You are now looking at the product of love and hope and friends. If I know you all as well as I think you are probably smiling. 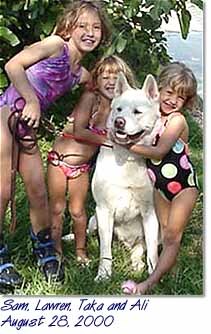 The great white puppy is much better. Taka has grown coat steadily since mid June - even before the oil bath. After I started Michael's treatment his coat exploded. You can see the weekly progress if you want by visiting these pages - side view or head shots. There were weeks that I took the photos and could not believe the difference - even in such a short period of time. Taka has blossomed in less than two months. But it's not just about hair. He no longer has crusty skin or dark follicles. His energy level and attitude are wonderful and he doesn't hide from the sun or spends hours curled up in his crate. He is almost back to the old Taka. About two weeks ago he began growing undercoat again - I never, ever expected to see that. I know he's not through improving and I also know he may lose all of his hair again tomorrow. We simply live for today. There are few places we go that he is not met with gasps. My vet could not believe his eyes - he literally stood silent in the exam room for a few moments. My neighbors, Jeff and Julie, have been amazed, and they see him daily...their girls (shown right) have always been Taka's biggest fans. My sister broke out in tears, as did my dog sitter and my best friend. His new coat is accompanied with increased weight and the muscles from daily jogs around the community. The last and greatest thing is this…a week or so ago Taka came bounding up the stairs to the terrace and stopped, head high and sniffed the air for a squirrel. He absolutely took my breath away and I realized that he had grown up. He was still a pup when he became sick so I never got to see him mature. If nothing else it has all been worth it for that - for that one moment - of seeing my boy again. 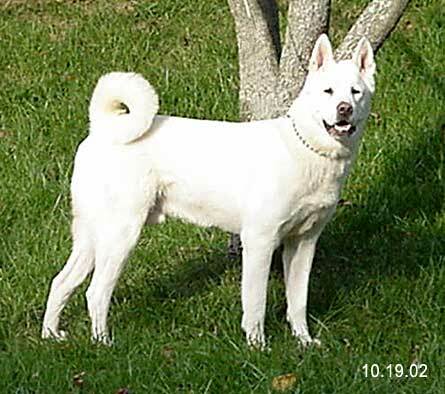 There is an Akita calendar that I use to keep track of all the "dog issues". One day I decided to flip ahead - to September - to mark some notes for that month. 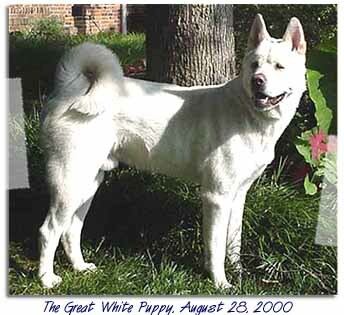 When I turned the page the image was of a white Akita, proud and resplendent, reflected in the still waters of a swimming pool. I smiled and wondered if that was a good omen. Perhaps it was. The quote under the photo is by Rudyard Kipling that says, "…he will be our loyal friend for always, and always and always…." Yes he will - and I will love him forever…. Taka has been on the Rampak treatment for 16 months now. 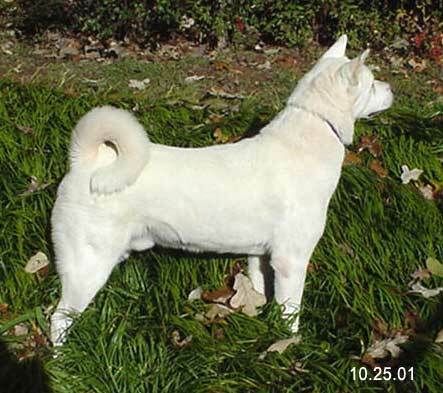 He had some coat loss in the Spring due to allergies but once that was under control he blossomed again. The Rampak treatment has now helped several dogs in the US and Germany and more find their way to the pages every month. Taka has been on the Rampak treatment for 28 months. This year he lost coat again due to allergies and as a result of low thyroid. He's now on thyroid treatment, allergy shots and oil baths for the SA. Outside of those minor inconveniences, he's a healthy, happy dog.